NTT Inc. - Onsite Health and Safety Training: What Are the Advantages? Onsite Health and Safety Training: What Are the Advantages? For any company, their productivity directly depends upon the quality of their employees and their onsite health and safety training programs. Better-trained workers improve the company’s performance, but this training should not only include work knowledge, but also thorough information about the safety practices that need to be followed in order to avoid accidents which harm the workers while also disrupting the production process. The two main ways to train worker in safety procedures and principles is through onsite health and safety training and off-site health and safety training. The former involves learning to work the machines in a safe and familiar manner through practical, hands on training and advice, while the latter refers to seminars and conventions hosted at a remote location where information relating to safety training can be shared. Off-site training is often conducted en masse, with employees from several companies congregating at a single spot to be trained together. On-site training is usually company specific, and deals with technology that workers are currently using or about to start using. Why do you need On-Site Training? With the world of industrial technology evolving swiftly, new machines are being designed everyday based on new scientific principles which require fresh understanding of their basic safety and working principles. In order to keep up with the pace of change, workers need to be taught how to use the new technology in a safe and productive manner before they are entrusted with expensive new equipment. It is seen as a valuable legal step taken towards ensuring employee safety, and helps prevent claims of negligence towards the employee’s health and safety, while also improving the company’s reputation. The workers are better aware of health and safety rules that need to be followed in order to ensure suitable working conditions, such as the optimum factory temperature. You can reduce your insurance premiums significantly if you are able to prove that you have managers and supervisors onsite at the factory who have been trained in health and safety procedures. Onsite health and safety training training has the benefit of including management in the training. This keeps the focus on the training for all (instead of potential distractions at a remote location) ensuring both hourly and salaried workers are on the same page regarding processes, procedures, and general company expectations. Less time is spent in transporting employees to the off-site seminar venue and bringing them back again, and that time does not have to come out of the employee’s work time, leading to higher productivity. It is the more economic choice, since training is provided in-house, rather than having to spend money and resources on travel or setting up a seminar at an expensive venue and all the accompanying costs that incurs. Now the question is: what kind of training method, between off-site and on-site, works best for your company and employees? There is no one general answer for that question. It needs to be decided on an individual basis, depending upon the needs of that particular situation. Both methods carry certain advantages and disadvantages, and both can be an effective manner of dispersing information about health and safety standards that need to be adhered to. 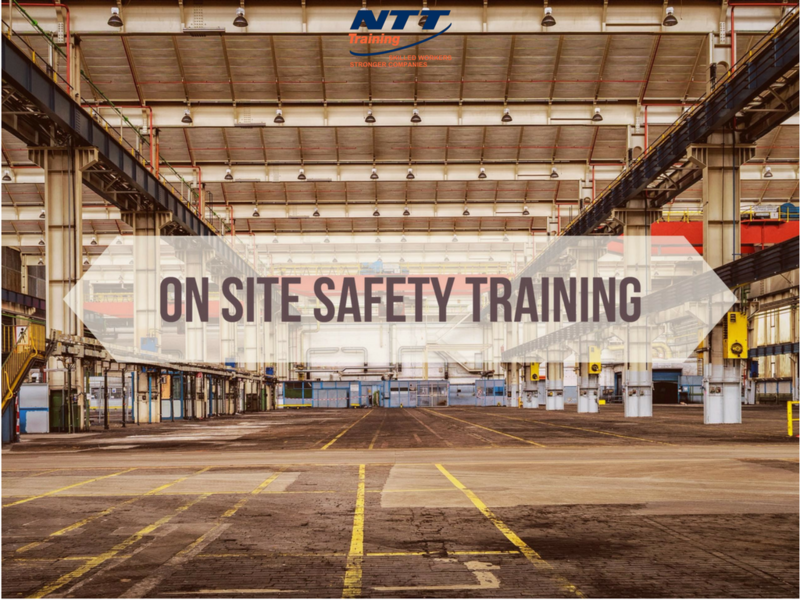 In general, on-site training allows for a more practical and immediate approach to safety training, and can be a great way to ensure the working conditions at the factory are up to date. NTT Inc has been a provider of Electrical Safety Training courses for over 30 years. The seminars they offer are of great help in spreading awareness of the latest industrial standards and practices for safety, and their ACCET accreditation has made many companies and agencies seek out their services as a third party professional service complying with ACCET’s training quality requirements. Contact us today so you can know more about their NFPA 70E: Arc Flash Electrical Safety Seminars!